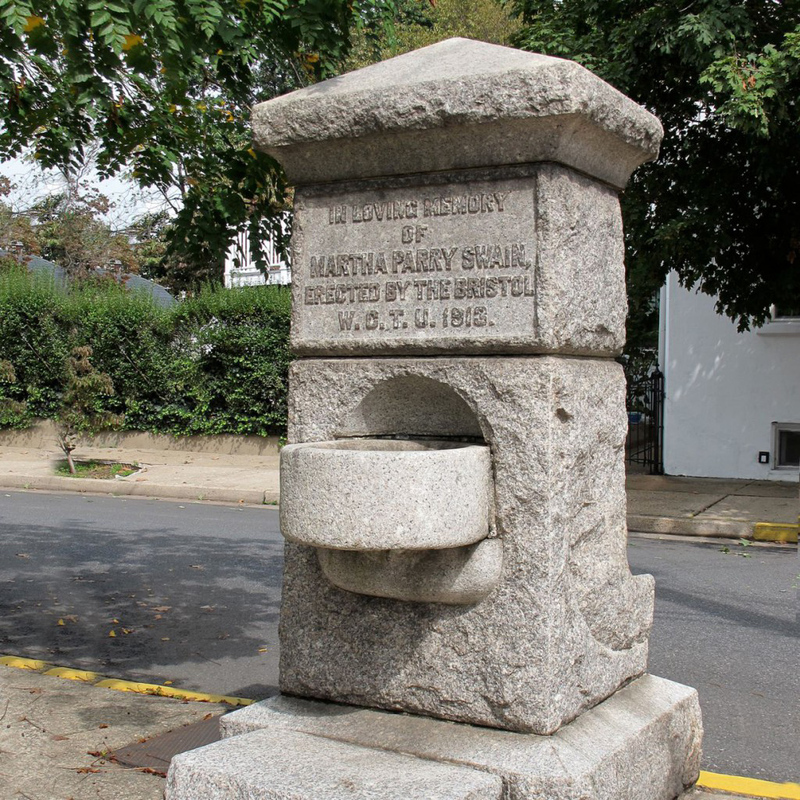 Still standing at the corner of Radcliffe and Walnut Streets is a water trough and drinking fountain erected in 1914 by the Women’s Christian Temperance Union, who thought it would give people a reason not to drink alcohol. Their efforts and those of groups like them led to Prohibition, which lasted from 1920 to 1933. Later in the 20th century, when cars became more commonplace, the water trough for horses was removed because it protruded into the street.